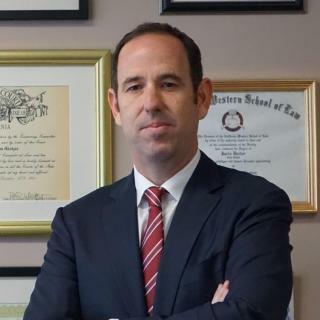 Joshua Glotzer is the managing attorney of Joshua W. Glotzer, APC and has been in practice for over 20 years. Joshua W. Glotzer, APC is a full-service personal injury law firm representing victims of accidents for decades in California including Los Angeles, Burbank, Glendale, Pasadena, West Covina, Lancaster and other cities throughout California. The Glotzer law firm has successfully obtained results for clients in cases ranging from wrongful death claims, car accidents, truck accidents, motorcycle accidents, bicycle accidents and slip and fall injuries. Mr. Glotzer has tried and settled cases for the injuries suffered as the result of the negligence of a third party individual or corporation. All of the attorneys at Joshua W. Glotzer, APC make sure that each client's case gets the necessary time to maximize the best outcome possible. Call Joshua W. Glotzer, APC today for a free initial consultation. Judicial law clerk to Judges of the District Court for the Southern District of California. Researched and prepared memos, draft opinions and orders on Civil Rights and Habeas Corpus cases. Research attorney performing legal research for Judges of the San Diego Superior Court including criminal and civil divisions. Ratzlaf Busts, Note: Money Laundering Suppression Act Of 1994 Overrules Ratzlaf v. United States 31 Cal. W. L. Rev. 141 (1995). Los Angeles criminal defense attorney Joshua Glotzer and the attorneys at GlotzerLaw, PC, with law offices in downtown LA, Pasadena, Ontario and Beverly Hills, are available to meet with you and provide the personal attention your case deserves. Attorney Joshua Glotzer explains what an estes robbery charge involves. Joshua Glotzer (www.socalcriminalattorney.com) discusses how he approaches a defense against gun charges. Josh Glotzer, managing attorney at GlotzerLaw, PC, discusses mounting a defense against DUI charges. Attorney Joshua Glotzer speaks about how he approaches drug charges.